Have your water bills been rising? Do you hear water running somewhere when you aren’t aware of any water running in the house? If you look at your water meter, is it spinning? These are all signs of a leak somewhere on your property. If you have a leak, it’s best not to ignore it. A leak can run up your water bill, but that’s not the worst thing that can happen. 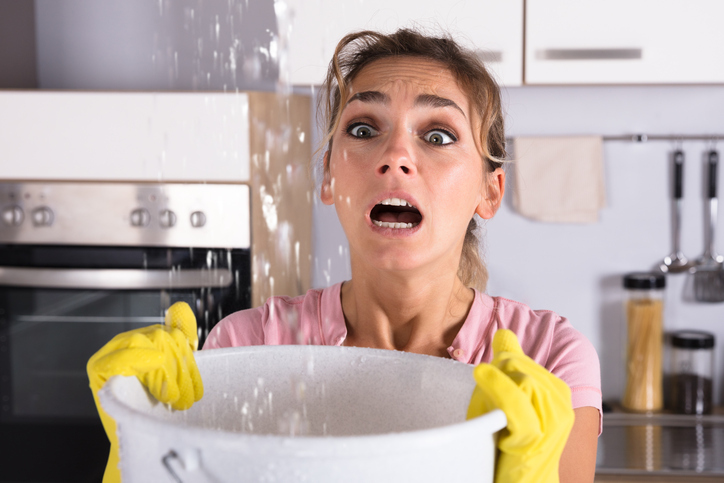 A leak can also cause water damage, mold, and mildew that can be damage both your home and your health. Fortunately, it’s not very difficult to find the source of a water leak. Make sure no water is being used inside the house, and then turn off your home’s main shut off valve. This is probably located in the basement or garage, directly behind an outdoor faucet. It could also be located outside, below an outdoor faucet. Check your water meter, to see if it’s still moving. If it’s still running, that means the leak is between the meter and the house. When that’s the case, your best bet is probably to call in a professional. If the meter has stopped, however, it means the leak is in your house. It’s time to turn back on the water and go on a hunt. Inspect your appliances. Move each appliance out of its location, if possible, and look for signs of moisture. If the problem is the supply line on your dishwasher, for instance, you will see water around the appliance. Find out if a toilet is the culprit. Remove the top of the tank and listen closely for hissing. If you can locate the leak that way, you may be able to fix it. If you are not able to determine whether the toilet is leaking, put a few drops of food coloring into the tank. Wait for a few minutes and see if the coloring has moved into the bowl. This indicates that the flapper at the bottom of the tank is letting water seep through. Look under your cabinets. Using a flashlight for better visibility, open the cabinet doors under your kitchen and bathroom sinks and look for moisture. If you see corrosion on the pipes, water stains, dampness, mold or mildew, or buckled or peeling material, you’ve got a leak. See if tightening the fittings and wiping away the moisture fixes the problem. Check for other, less obvious culprits. Look for discoloration or wet spots on your ceilings, floors, walls, and Check the release valve on your hot water, and the faucets outside your of your house. You can also find an underground leak by noticing if there are damp or soft spots in your yard, or areas that are greener than the rest of the lawn. Once you’ve found the leak, it’s important to fix it as soon as possible to prevent further damage. Sometimes leaks are easy to fix, but if your plumbing has a problem that’s beyond your capability, it’s also good to have a professional on call. At Puget Sound Plumbing and Heating, we’ve been taking care of business owners and homeowners in Seattle for over 20 years, and we can meet all your heating, cooling and plumbing needs. Family owned and operated, we provide superior service at affordable prices because our customers are our top priority. For help with your plumbing 24 hours a day, seven days a week, call (206) 350-0079 or contact us through our website.